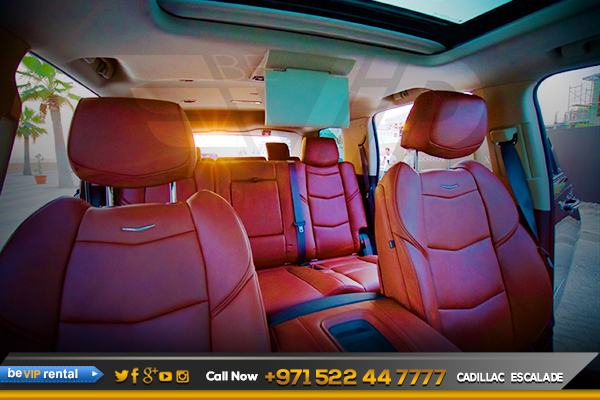 Arrive in ultimate style with a Cadillac Escalade car rental from Be VIP Car Rental in Dubai. 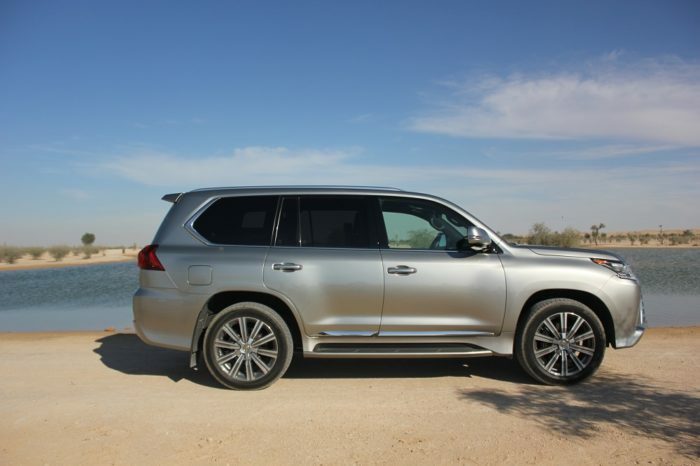 High capabilities meet maximum comforts in this luxury SUV. No matter where you are heading, when you rent a Cadillac Escalade the drive will become as much fun as the destination. Whether you’re traveling with the family across town or need to host a group of clients, Be VIP rent a car in Dubai offers the ideal solution to this common situation. 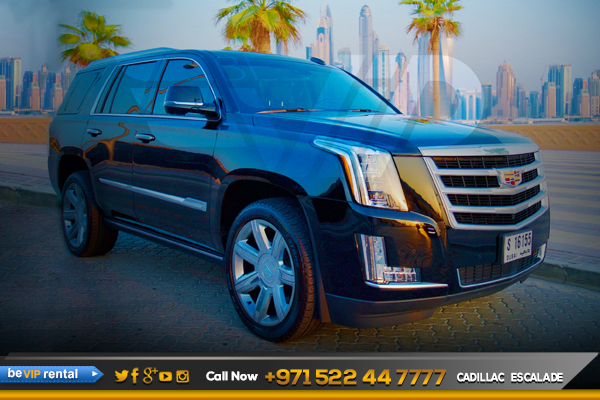 Known as one of the most comfortable, spacious and luxurious SUV models on the market, the Cadillac Escalade for rental in Dubai delivers a unique and powerful driving experience. 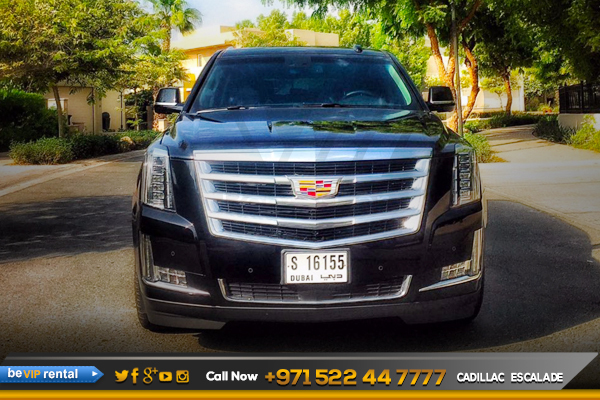 Make your dream come true by driving such an elegance beauty, rent a Cadillac Escalade in dubai. Down the road, we expect to see the powerful Cadillac Escalade from Cadillac Escalade family. 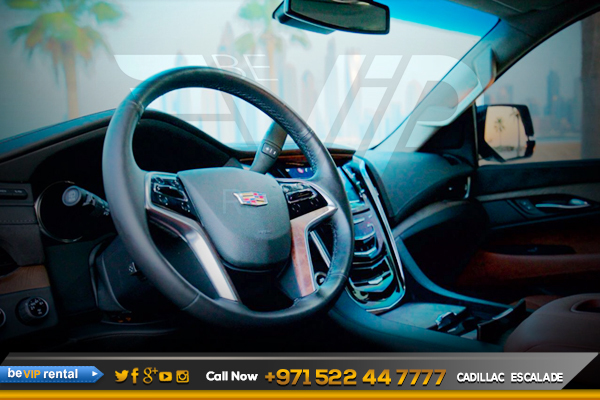 Make it possible for you too, Now we offer Cadillac Escalade rental in Dubai including Cadillac Escalade Rental in Abu Dhabi and all over UAE. Book Now! And get an exotic Cadillac Escalade rental in Dubai.